Posted February 1st, 2019 — Category: Newsroom. 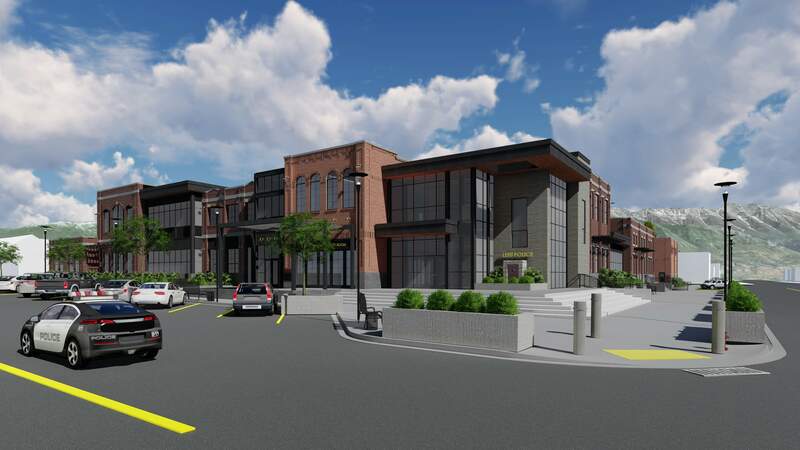 Through much analysis and recommendations from a third-party consultant, Lehi City determined that the Broadbent property would be best suited for a future police facility. The property’s central location and proximity to City Hall makes it an ideal home for police operations. This new facility will provide state of the art equipment and much needed space for our department to grow well into the future. 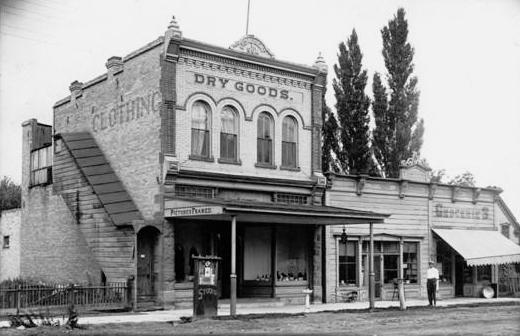 It is only appropriate to take time to honor the longest continuously running business in Utah. Joseph and Sarah Broadbent immigrated to the United States from England in 1859. Joseph worked as a farmer and clock maker for 25 years. At Sarah’s suggestion, the Broadbents opened a mercantile in 1882 called Broadbent and Son. They began selling merchandise, furniture, and clothing out of their home on the corner of 100 North and 100 East. Broadbent and Son was so successful that Joseph and his son, Joseph S., constructed the original Broadbent’s commercial building in 1892. They built the 23-foot by 66-foot structure in the Victorian Romanesque Revival style, identified by the semicircular arched windows in the upper floor. Since its opening, the building has gone through major alterations, including additions to the original building in the 1940s, 1960s, and 1970s. Yet the store has remained in the family for 135 years, passed down from Joseph S. to his son, John, and eventually Betty Anderson, great-granddaughter of the original operator. 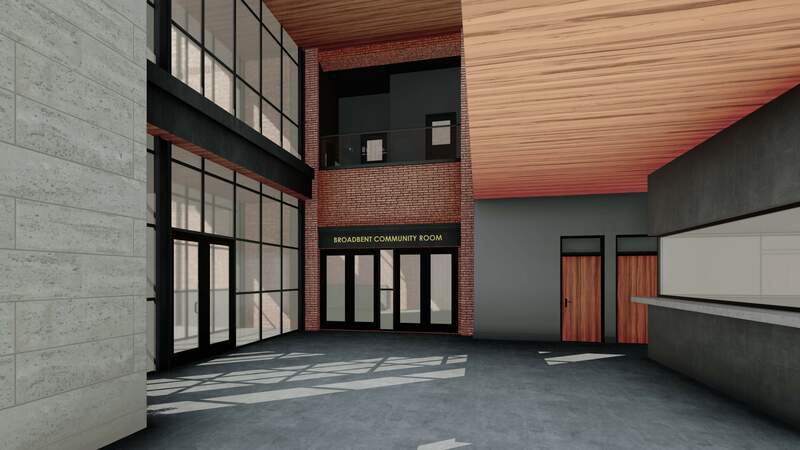 More importantly, the police building will be home to the Broadbent Community room, named after Joseph Broadbent and the Broadbent General Store. Contractors will use bricks from the original building for the outward façade of the community room in the lobby. The room will be available for police training, emergency operations, and community events. Lehi City has also recognized Joseph Broadbent in the addition of the Broadbent Power Generation Facility. Broadbent served as mayor in Lehi and was pivotal in creating the city operated power department. Contractors will begin the demolition process of Broadbent’s and neighboring homes on February 2, 2019 by dismantling the building and saving the bricks. They will then remove the store, accompanying structures, and seven houses. Construction will begin this fall and the police building will open in October 2020. With the rapid growth that we have experienced over the last 10 years comes significant challenges and changes. From building an electric company to installing the city’s first sewer system, and now becoming the home of Silicone Slopes, Lehi has always pioneered Utah’s future. While our hearts ache to say goodbye to the Broadbent General Store, we are confident that we will continue to pioneer our future while honoring the legacy of our past.